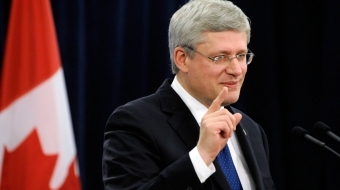 Harper calls historic election as Canadian economy sinks. "Fresh orange juice squeezer for Bev Oda," and more "bad job" ideas trended on twitter in response to the Finance Minister's recent remarks. Tories linked directly to voter suppression calls. Call centre workers allege they sent voters astray. GOP operatives in Canada. The 2011 election scandal keeps growing. On Redditt today, readers had a strong reaction to David Ball's story on Republican's popping up in Canada to knock on doors for Tory candidates.